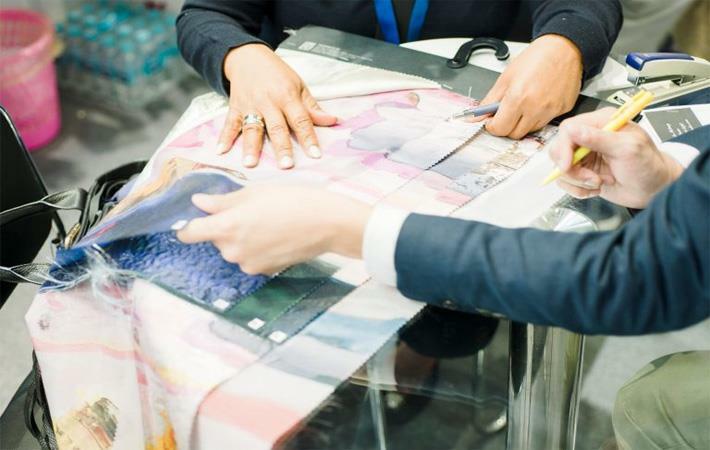 Intertextile Shanghai Apparel Fabrics – Spring Edition will see larger product zones and country pavilions – proving the fair’s growing recognition from worldwide suppliers who view these zones as gateways to the apparel market. The three-day fair beginning March 12 will benefit exhibitors and visitors alike, to locate more potential business partners. The reputation of Intertextile Apparel’s Spring Edition has established a global flagship for apparel sourcing. "Shanghai is a great city for a business with original prints, and Intertextile is one of our busiest fairs. It’s a good place to find new clients," explained Jane Han Zhang, founder & creative director of British design studio Fairbairn & Wolf Studio. "With an increase in floor space and four new international exhibitors joining the zone this year, including Dessin & Cie from France, Lineastudio from Italy, DMD Amsterdam from the Netherlands and Her Studio London from the UK, it’s evident that Verve for Design is enjoying increased popularity amongst worldwide exhibitors who view Shanghai as a prime business platform." For those seeking more European exhibitors, SalonEurope at the fair continues to bring the best of the European textile industry to China. Countries include Austria, France, Germany, Italy, the Netherlands, Switzerland, Turkey and the UK. SalonEurope offers an ideal meeting platform for brands from all over Europe, which in turn attracts high quality buyers. "It is our first time here and I am very impressed with how great the visitor quality is. Although we sell high-end products, buyers here are still very interested, and on the first day we met with over 30 buyers. I think a large amount of them will place orders. Compared to other fairs, I think there are more serious buyers here," said Irina De Giorgi, sales manager of Ideas by Glarotex AG from Switzerland, one of the exhibitors. Intertextile Shanghai Apparel Fabrics is the ideal place to observe domestic trends in China, and the Premium Wool Zone is no exception, with highly-regarded European brands Huddersfield & Cloth, Abraham Moon & Sons, and Stylbiella returning to Shanghai to access the China market for another year. The Premium Wool Zone is regarded by domestic buyers as an ideal place to source high-end wool textiles – a product category with high demand, as China’s high-end tailoring market continues to thrive.